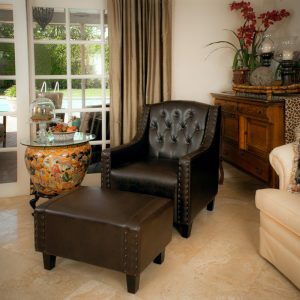 It is never too late to get unique furniture as one of your home features. It can refresh the home and make a unique accent. 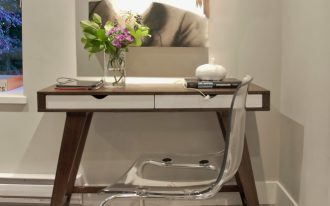 You can look for the unusual furniture shape such as a triangle table. 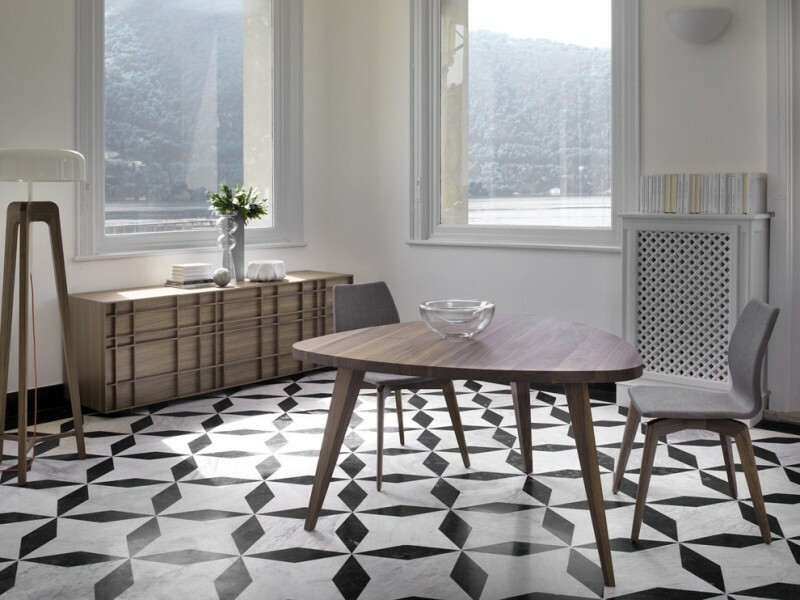 A triangle table has a unique shape to complete your living room or dining room. If you want to combine a triangle table with dining chairs, you should consider the material that must be sturdy. 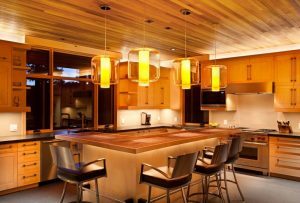 The following are some marvelous triangle dining table ideas that can complete your dining room need. 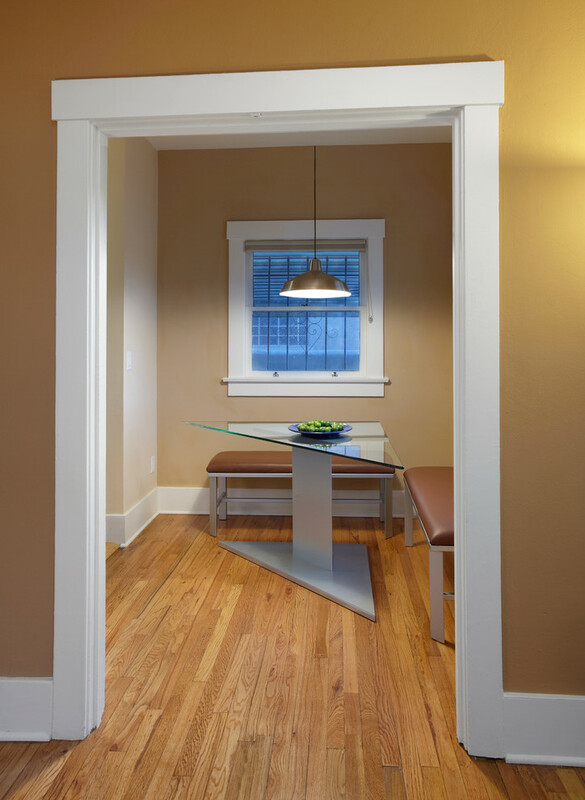 This small dining area will only have a seat for two people if you put a standard table. This triangle dining table makes enough space for people to walk back and forth from the living room to the dining room and kitchen. This contemporary dining room has a black triangle dining table with some white leather dining chairs and bench. 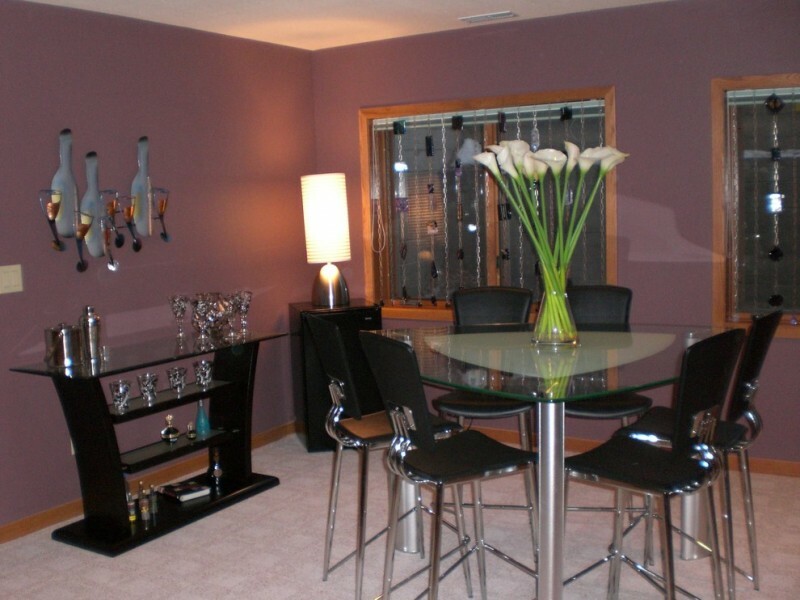 To decorate this dining room, you can hang a black and white art on the purple wall and choose unique chandelier as the lighting fixture. 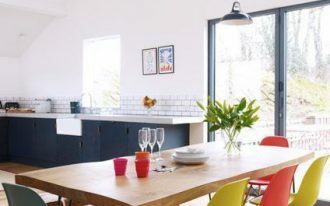 A corner dining area in the kitchen is a good solution for a small house. 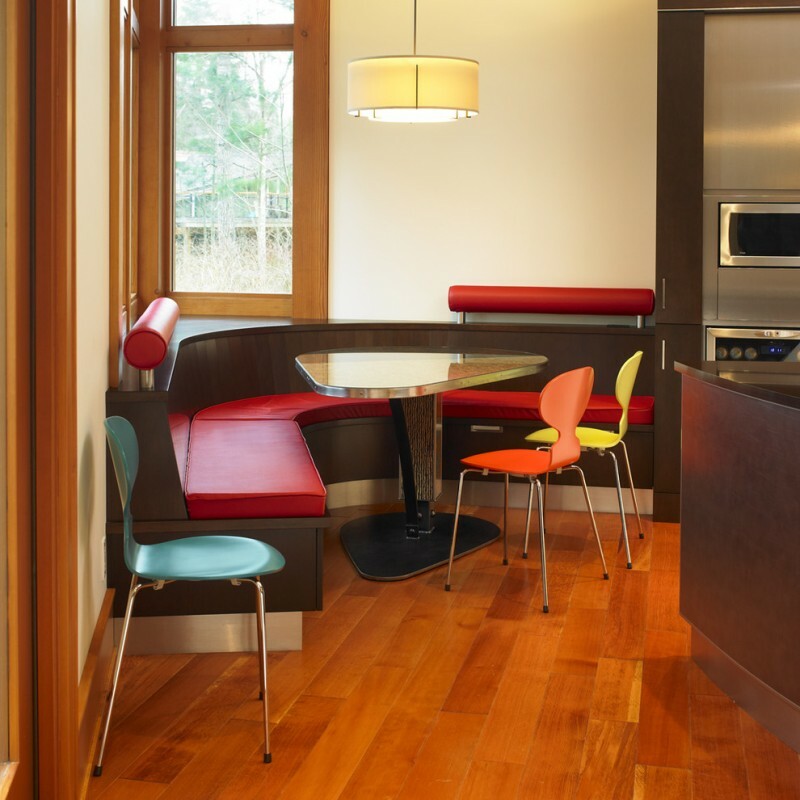 This corner is provided with a curved bench, a glass triangle dining table, and some colorful chairs. 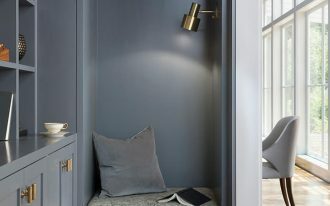 The best thing about this corner is there are windows behind the curved bench. 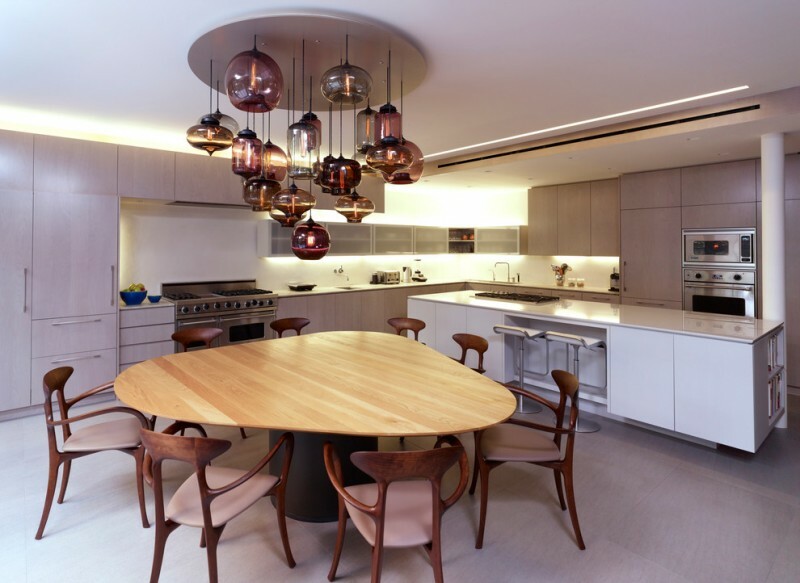 This small trendy dining area features a triangle dining table and wood dining chairs with beige cushions. The triangle table got glass and wood materials that make a unique look. 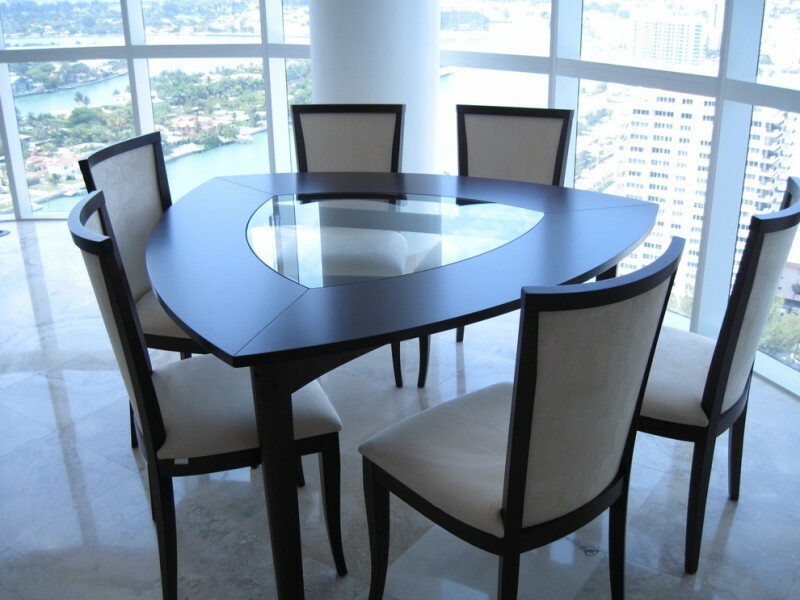 This dining area has a triangle glass table, black cushioned chairs, black modern buffet table, and a table lamp. A vase of flowers arrangement balances the luxury look of the furniture. 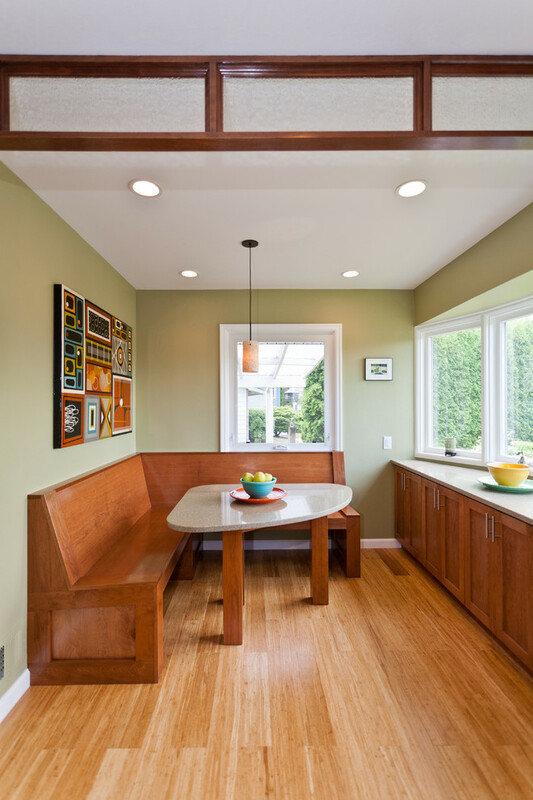 If you don’t have enough budget to make a corner dining area, you can get the wooden bench for a corner seating and add a small triangle table. The wooden floor makes this space look neat and clean. 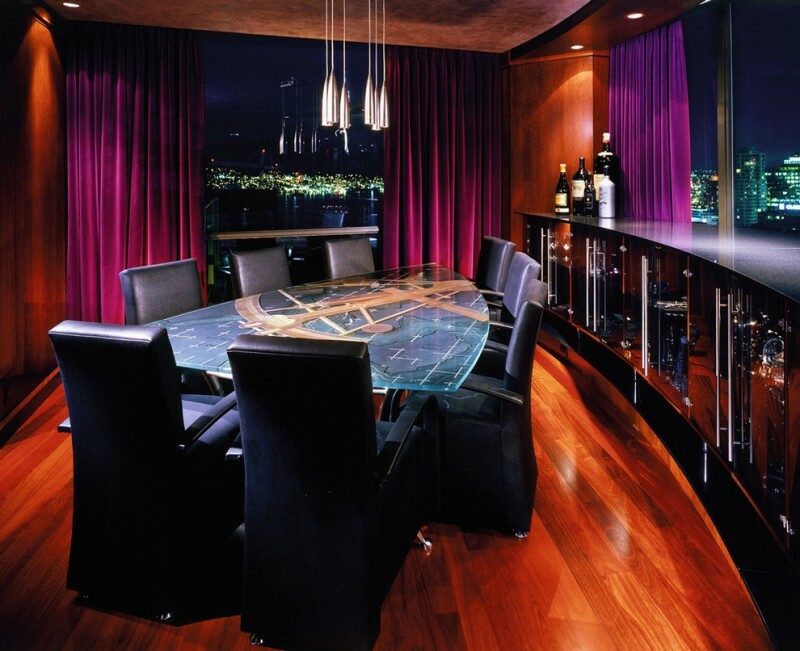 A glamorous vibe also can be achieved using a big triangle table, some black leathered chairs, curved glass cabinet with black countertop, a pendant light, and purple curtains that cover the wide glass windows. This dining space features Porada Kesino triangular walnut dining table, Porada tilde chairs, lighting at UBER Interiors, Porada Kilt sideboard, and patterned black and white floor. 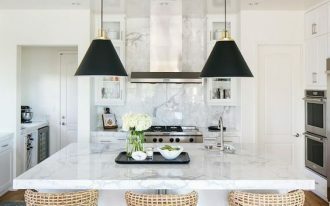 The furniture combination makes this space look traditional and minimalist. It is suitable for a small family. This wide triangle wooden dining table is accompanied by eight chairs with pink cushions. The beautiful chandelier above the table has the same color tone with the chairs. Black furniture pieces dominate this room. The black corner shelf is placed for storage and display. The black triangle dining table comes with benches and stools. 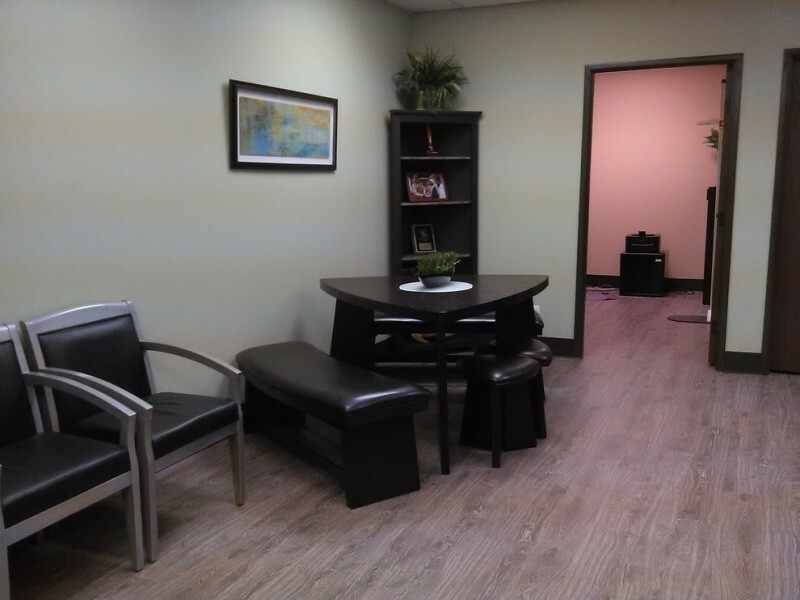 The side chairs also have black vinyl upholstery cushion and silver accent.